All of the National History Day contestants from Wyoming, pictured here at the national contest! 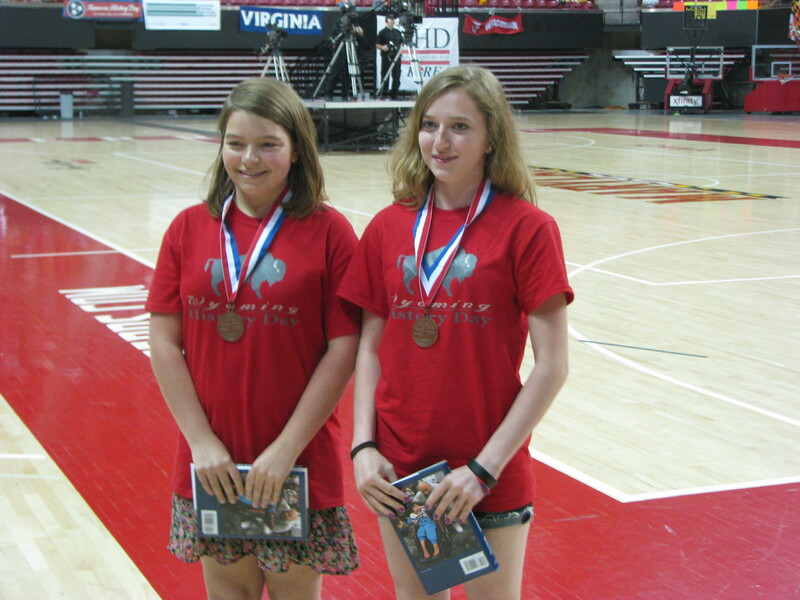 After months of intensive research and success at district- and state-level competitions here in Wyoming, sixty Wyoming students presented their projects at the annual National History Day Contest held at the University of Maryland Campus in College Park, Maryland June 9 – 13, 2013. Hazel Homer-Wambeam and Jackson Higgins, home-schooled students in Laramie, presented their project titled “The Golden Age of Radio: Turning Points in American Culture” and placed first in the Junior Group Performance Category. Their teacher is Laurie Homer. This was the third first-place finish for Wyoming students during the past five years! 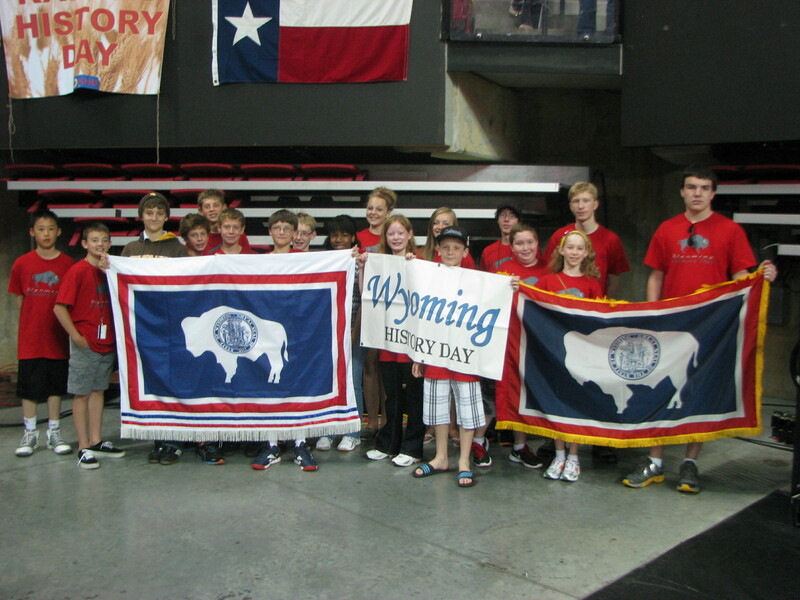 Wyoming History Day is administered by the American Heritage Center at the University of Wyoming, with support from the Wyoming State Historical Society and the State Department of Parks and Cultural Resources. Two thousand students in Wyoming participate in the program, with the state contest held each spring on the University of Wyoming campus. Many students in Wyoming do their primary source research at the American Heritage Center, UW’s repository for manuscripts collections, rare books, and official archives. Hazel and Jackson, for example, used the Center’s extensive holdings related to the entertainment industry in America. Brianne Beale and Nicole Collins of Jackson placed third at this year’s National competition with their Senior Group Documentary titled “The Grey Wolf Reintroduction: A Scientific Approach to Protect the Yellowstone Ecosystem.” Beale and Collins attend Jackson Hole High School and their teacher is Jeff Brazil. Calvin Makelky, a senior from Pinedale placed ninth overall with his individual website “The Pivotal Point: Antietam.” Makelky’s teacher is Rose Robertson. Bridger Kimber from Lander placed fourteenth with his Junior Individual Documentary “Radiology: How it has Completely Revolutionized the World of Medicine.” Bridger is a student at the Lander Middle School and his teacher is Gayla Hammer. Each fall more than half a million students nationwide begin the year-long National History Day program, competing in a series of history contests in their local districts and states. 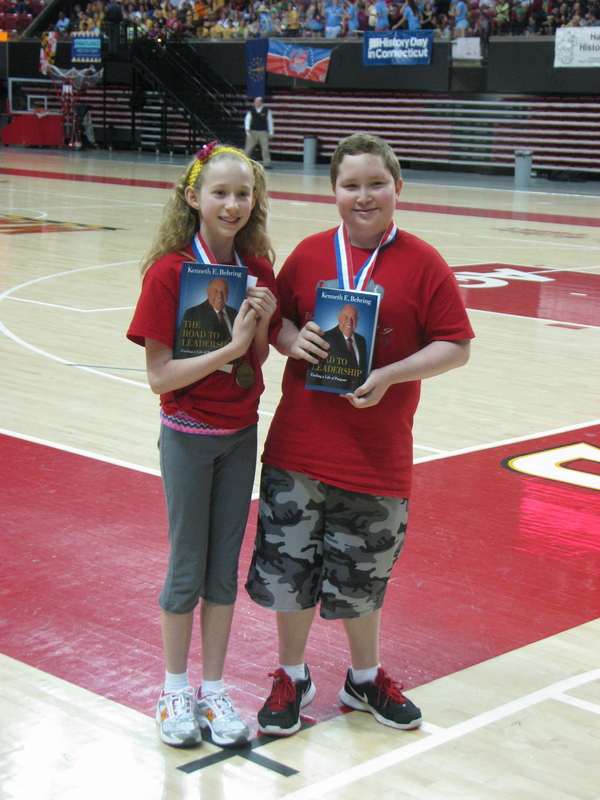 The top students in each category are selected for participation in the national contest. Participating students choose their own topics of study and research from original sources based on the theme that has been designated for the year. History Day students research historic documents and artifacts in archives such at the American Heritage Center, conduct oral histories, search the Internet for information on their topics, and travel to historic sites. They present their work in a variety of ways, by creating museum-type exhibits, video documentaries, original performances, or traditional research papers. More than 300 historians and other education professionals evaluate the students’ work at the national competition. $150,000 worth of scholarships are awarded at the national awards ceremony to select students, and approximately 100 students took home cash prizes between $250 and $5,000 for superior work in a particular category of judging. This entry was posted in K-12 education, National History Day. Bookmark the permalink.